The management of company fire safety and conforming to the latest British Standards are essential elements to every business, especially those employing more than five people in the workplace. We can assist with your risk requirements with our own dedicated Fire Risk Assessor on hand to offer support and advise confirming with the Fire Regulatory Reform Act 2005. Fire needs a 15% concentration of oxygen in order to sustain combustion. Our tailored gas suppression systems work by reducing the amount of oxygen within a combustion to below 15% in order to remove one of the main three main sources of ignition in the fire triangle. 1st 4 Fire & Security can assist on the implementation of such services with our dedicated suppression expertise. The provision of firefighting appliances is a legal requirement within the Regulatory Reform (Fire Safety) Order Act 2005. 1st 4 Fire & Security can supply, install, commission and maintain various types of fire extinguishers in accordance with BS:5306 Part 3. We can assist on the design and placement of extinguishers as well as offer telephone support if required. Room integrity tests are performed to measure how well a room is sealed for a proposed gas suppression system installation. If a room is inadequately sealed then dissipation of inert gas could arise, causing the suppression system to fail in the event that it is required most. We at 1st 4 Fire & Security can take care of such testing both prior to and on completion of a proposed suppression system installation. An annual maintenance test should also be carried out in order to confirm that the integrity of the room is still valid. Here at 1st 4 Fire & Security we stock a wide and varied range of fire safety signage, conforming to both British and European standards. Our signage comes in various sizes and various compositions of material, the most standard being rigid plastic complete with an adhesive backing for ease of installation. The majority of our signs can also be tailored to suit the requirements of individual premises upon request. Our options within fire safety training include a basic training package, perfect for those without a particular role in the event of a fire activation on site. This particular session includes a hands-on demonstration of how to use an extinguisher and what to do in the event of a real fire scenario. Our fire warden training is a more in-depth session, based upon the same information as a basic session but with the inclusion of fire safety procedures, a safety presentation and certification. Both sessions also attain time towards a quick fire Q&A with the lead trainer. Regular emergency lighting maintenance schedule works in accordance with BS:5266 2011 is something we here at 1st 4 Fire & Security can assist with. Emergency lighting should be functional and annual discharge tests should be carried out to confirm correct operation of emergency escape lighting should it ever be required in the event of a fire or major incident. With recent technological advances such equipment as video door entry has progressed and become more popular and affordable within recent times. 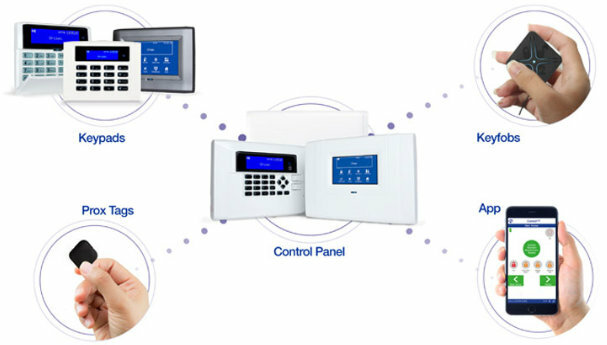 1st 4 Fire & Security can comprehensively design, supply, install and commission such systems either standalone, networked or integrated to third party systems such as automatic gates and/or barriers. For much simpler and more cost-effective methods, such systems as the RING video doorbell can be installed and commissioned to almost any premises. 1st 4 Fire & Security provide a wealth of fire safety and security services to commercial, local authority and domestic customers throughout the UK. If you feel you have landed in the right place and trust that we can assist you then please don’t hesitate to contact us today. Combining a traditional industry with 21st century technology. 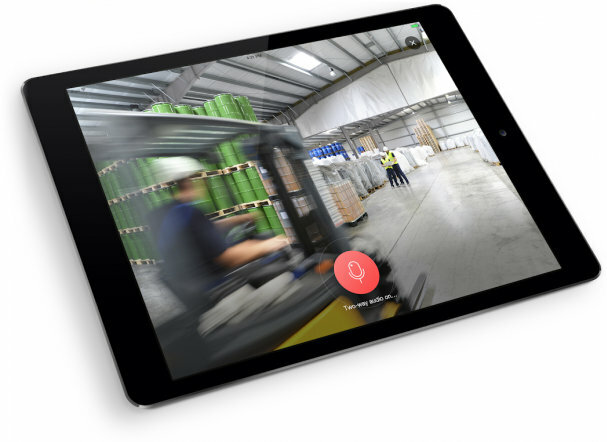 With more and more services and systems integrating the use of mobile and tablet applications we feel it is only right for us here at 1st 4 Fire & Security to work with leading manufacturers in order to stay at the forefront of technology and bring you the very latest in available applications. We can provide systems with full remote functionality and applications available on both iOS and Android platforms. An example of such a system would be a fully capable remote viewing CCTV system complete with audio integration, and all available to use at the click of an app on your mobile device. Or, maybe you require an Intruder Detection system with remote set/unset and history log features, again available to use on your mobile or tablet device. 1st 4 Fire & Security will guide and demonstrate the options available to you. Historically, having the ability to remotely view and control your systems from anywhere in the world would not only be daunting in terms of making it possible but even more so in terms of consumer cost. Today, at 1st 4 Fire & Security we can provide you with the simplest, up-to-date and most cost-efficient methods of system connectivity. Contact us today to find out more.